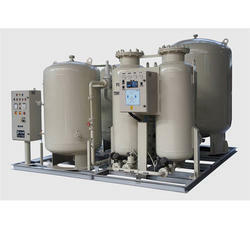 Capacity: 6 m3/hr- 40 m3/hr. This Process consists of 2 Vessels filled with Molecular Sieves (MS) and Activated Alumina. 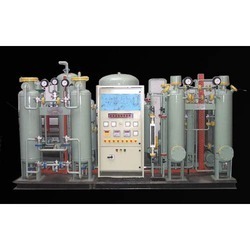 Under the able guidance of our trained professionals, we offer PSA Nitrogen Gas Plant. We use sophisticated technology and machinery for the process of manufacturingNitrogengasplantscapable of long-lasting performance. - Substantially lower operation cost. - Based on economical, reliable and proven technology.